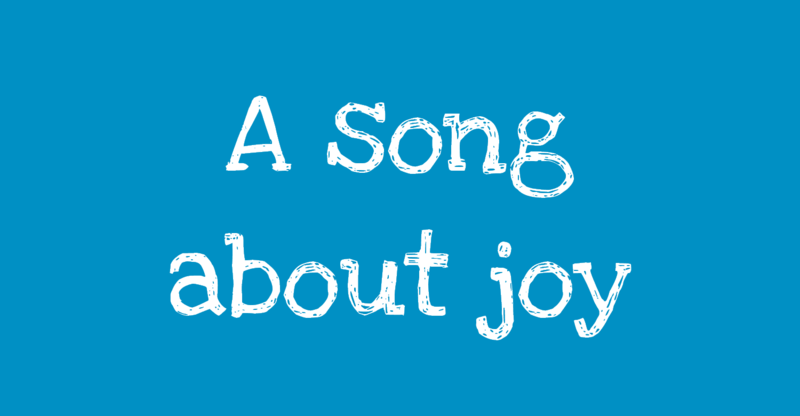 On Sunday, Mary will be speaking about Joy, the second fruit of the Spirit mentioned in Galatians Chapter 5. With that in mind, we are introducing another new song, to put words to our thoughts, and to help us articulate a response to God. It borrows words and phrases from various scriptures, including the book of Ecclesiastes, ‘There is a time for sorrow and a time for joy’. This song is not meant to be a flippant encouragement to ‘smile and praise the Lord’ in spite of what we are going through, pretending it’s not happening. Rather, it’s a reminder that, no matter how bad life gets, there is always something to give thanks to God for, and that in the process, we can find strength and joy.